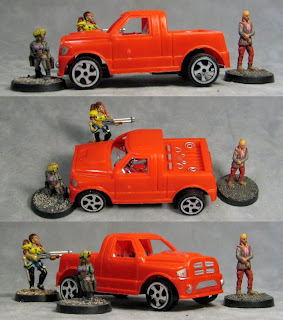 In the constant search for cheap 28mm terrain, vehicles, etc. 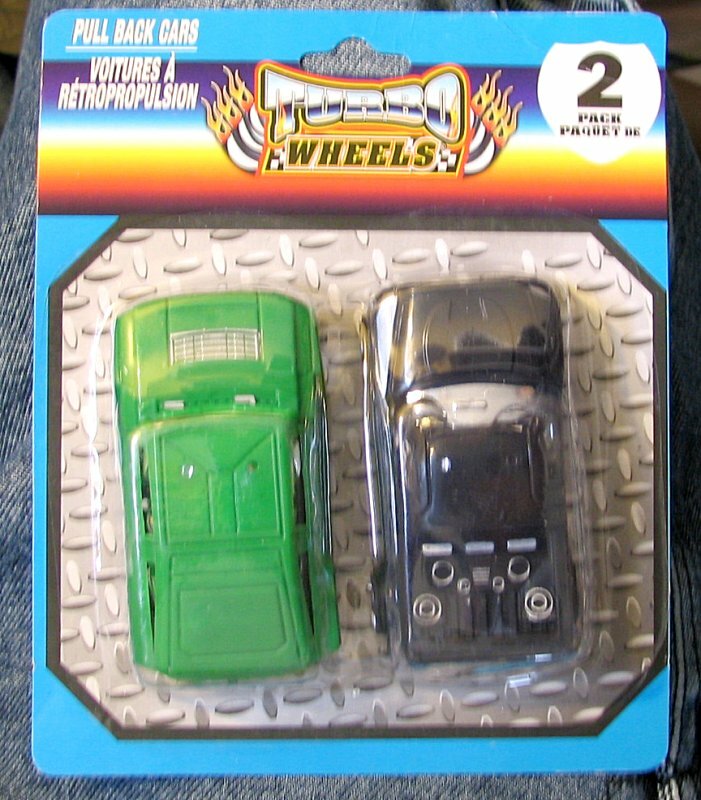 I came across these Turbo Wheels at Dollar Tree this afternoon and decided to get a couple packs. The store I was at only had 2 different packages each with the same vehicle designs but molded in different colored plastic. 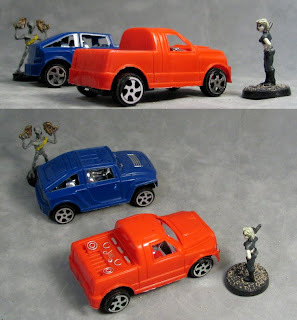 There's a not-quite-Hummer-more-of-a-Jeep and a generic small Pickup truck. I used my pinky to judge the scale in the store because I always forget to carry a mini with me for this sort of thing. 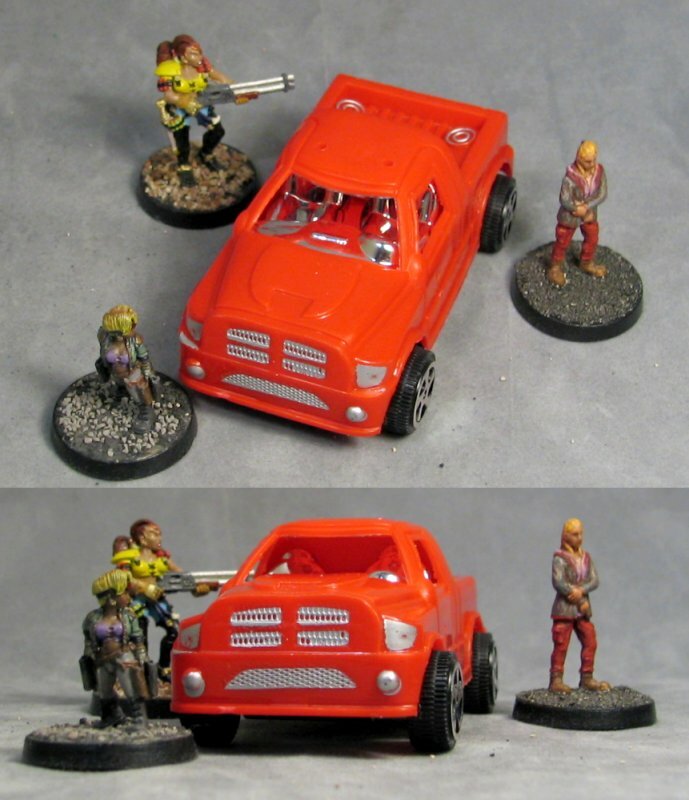 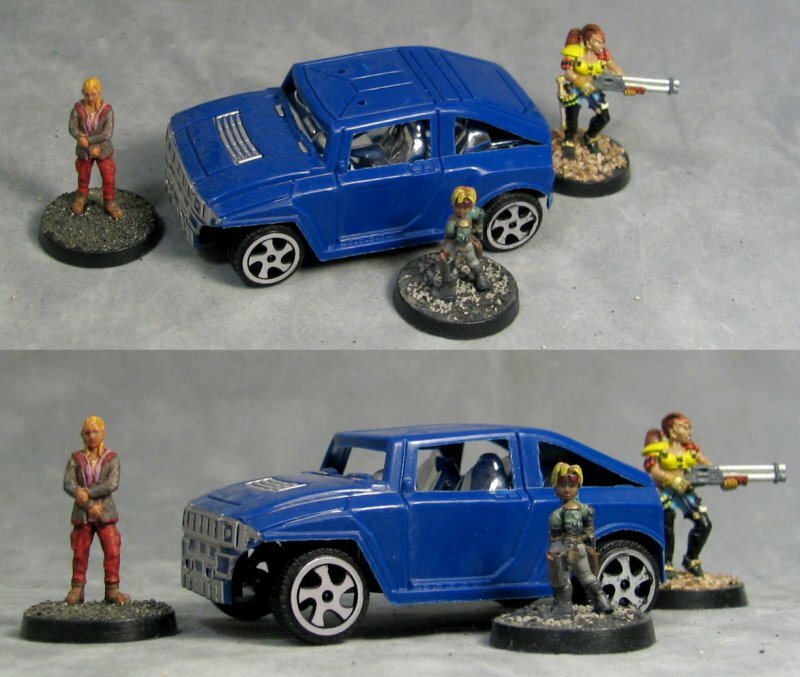 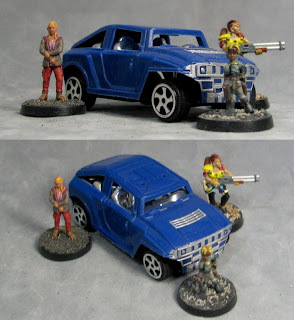 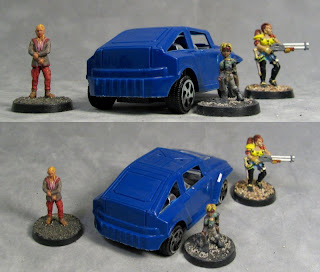 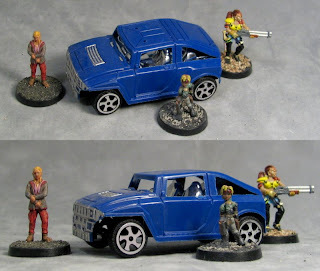 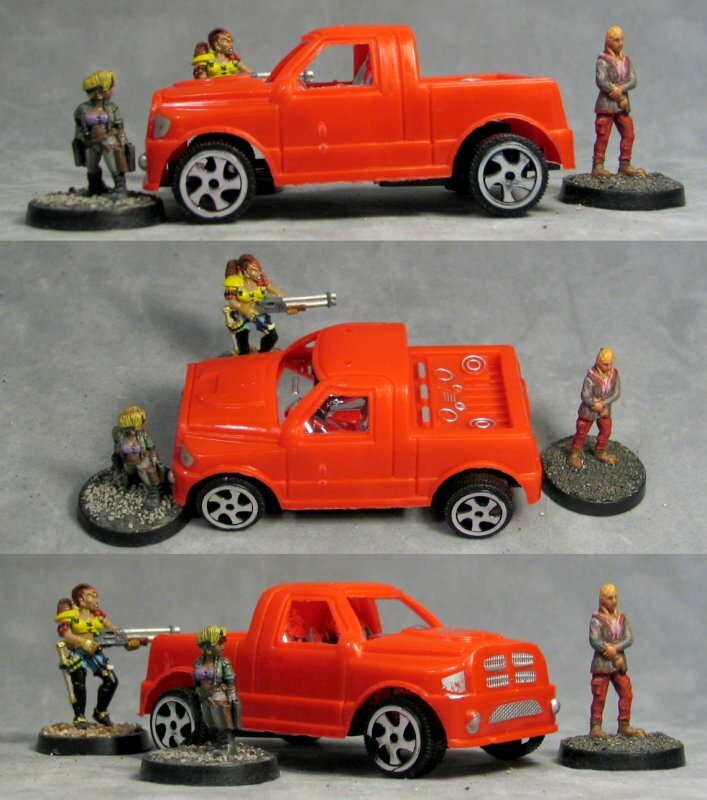 Here's the Jeep with an assortment of 28mm ladies (not-Clix Hunger Games girl, Hasslefree Grymn Space Pirate Sola, anda Necromunda Escher chick.